I wrote this post for SCUK on a media trip to Kopaonik in Serbia for the launch of SSX. When you hear the names “Serbia” or “Belgrade”, they can conjure up a number of negative images, especially if you are old enough to have been aware of world events through the 1990s. Serbia has had a chequered history. As the largest part of the former Yugoslavia, during the late 1990s and early 2000s Serbia was mired in conflict as the area tore itself apart in a series of wars of independence. The politics of the region are becoming far more settled with Slovenia and Croatia emerging as popular and fashionable holiday destinations for both summer and winter tourists. Now it’s time for Serbia to step into the limelight. Before the period of conflict, Kopaonik was very popular with English tourists. However since 2000 the number of Brits has decreased, so now the largest proportions of visitors come from the surrounding former Yugoslav states, Russia and Greece. However, British tourists have always been adventurous travellers, not least when bargains can be had. This has led to a massive increase in the popularity of ski resorts in places like Bulgaria and Slovakia, and now Serbia’s MK Resort in Kopaonik wants to add itself to the list of the up and coming destinations. However, when we arrived, the Snow Gods were certainly smiling on us! Whilst the cold snap was cutting power off and isolating villages across the region, in Kopaonik there was snow aplenty and everything was functioning efficiently. On the edge of each piste there were banks of soft, untouched snow which seemed to last throughout the time we were there. The resort felt very family oriented, and perhaps because of this there was never a feeling that people were rushing to track out the resort. This meant that if you ventured slightly further off the piste you could have run after run, the only lines to be found being those that you forged last time. There are more runs than there might at first appear. Four main chairlifts in addition to a few drag lifts serve the area in front of the main part of the resort. As you get to the top of these you realise that there are more slopes that spread out across and beyond giving approximately 60kms of piste across the area served by a total of 24 lifts. There are a range of runs of varying difficulty, mostly blues and reds, with a small number of blacks. Having said that it is worth pointing out that, although some of the so-called black runs will give you a satisfying leg burn by the time you reach the lift, they would normally rate no more than a medium shade of red in more mainstream French or Austrian resorts. The longest run on the resort is 3.5km, and this means that it’s easy to lap the mountain, doing runs top to bottom without stopping. Luckily the lifts are largely modern and speedy, and even on the weekend we never had to wait in line. If you are of a mind to get as many kilometres of piste under your belt as possible, then Kopaonik can be explored well within a week. But there are little areas that will make you want to ride them again and again, like the mellow open powder runs under the Pančićev Vrh chair, or the steep and deep tree runs under the Duboka 2 lift. To add more entertainment, the resort has just invested in a new snowpark located right next to the main resort area and served by the Krst chair. It’s not going to test the Shaun White’s or Torstein Horgmo’s among us, but for mere mortals like us there is a really good mix of obstacles for all abilities, from wide and narrow boxes and street rails to a decent 3 kicker line. Kopaonik now has the first snowboard park in Serbia and one of the largest in the region. We stayed in the Family Hotel Angella, which was very comfortable and well equipped. Along with the slightly more luxurious Grand Hotel &amp; Spa and the self catering Konaci Apartments, it is one of the Hotels that form the MK Mountain Resort Kopaonik that together can offer 1500 beds and accommodated about half of the 150,000 winter visitors last year. The MK Group will have invested over €15 million by the end of this year, and that gives you an idea of the kind of facilities that will be available to you when you stay there. You have shops, bars and restaurants of all descriptions, spas, swimming pools, gyms, a massive sports hall and crèche facilities. You name it, and it’ll be there. You never have to leave the hotel if you don’t want to! They also own the wonderful Zvrk Restaurant, a cosy slope side restaurant offering local specialities, as do many of the restaurants in town. Also worth trying when out and about is the Rekia, a fairly potent plum based liquor. Not for the faint hearted, but the locals are generally so happy to welcome you to Serbia, that a fair number of them will be put in front of you! So, why would you want to go to Kopaonik? Well, if you are a beginner, intermediate, or advanced skier or snowboarder who wants to go somewhere new without breaking the bank, then perhaps Serbia is the destination for you. It does feel like an adventure getting there, given the 4 hour transfer time to resort, but once there you will be made to feel very welcome. This, coupled with the good prices, decent slopes and new snowpark, means you are in with a very good chance of having a great time. 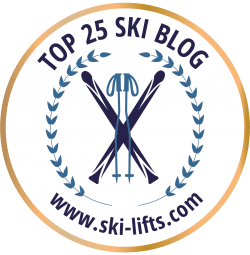 This post is part of our top ski resorts resource hub. aka Ace McGraw, I'm a Snowboarding Aficionado by day and a Consultant Arboriculturalist by night. FIND THE BEST SKI CHALET DEALS! MAP OF THE ALPS WITH 633 SKI RESORTS! PUT ON YOUR WALL TODAY! Signup to get 'This Week In Snow' direct to your inbox every Friday.